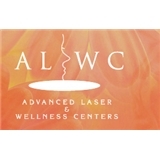 Advanced Laser and Wellness Centers (Schaumburg) - Book Appointment Online! Friendly front desk and doctor is very approchable. I truly appreciate his patience while listening and addressing all of my concerns. One issue I did notice .... he gets interrupted by his staff pretty frequently while in consultation, not a huge deal for me but might be for others. Definitely worth it!